I hope everyone is keeping track of their reading minutes for our reading challenge! 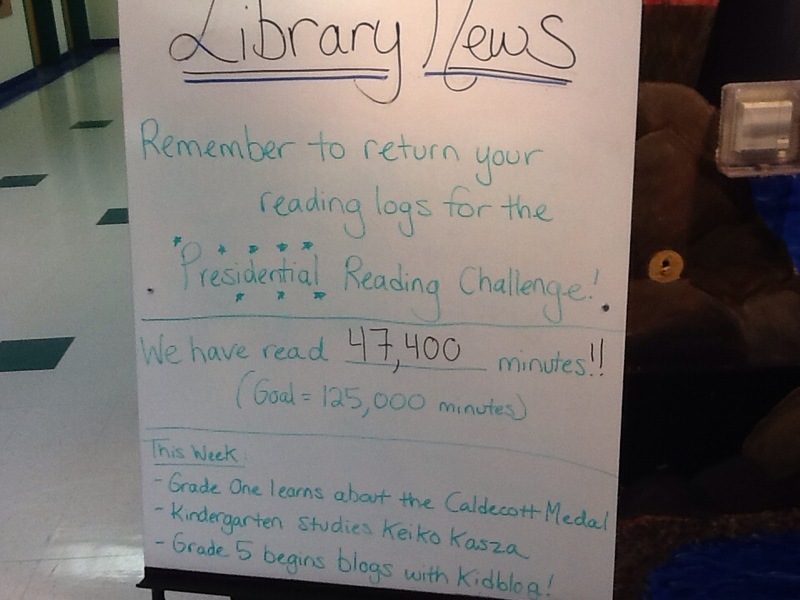 This year we are trying to reach all of the presidents by reading for 125,000 minutes. For every 3,000 minutes we earn another president. As of today, we have read for 47,400 minutes, bringing us to Abraham Lincoln, our 16th president. You can help us by spending extra time reading between now and February 13 and adding your minutes to your weekly log. Thanks to all of the student announcers, too! They’ve shared a lot of interesting information about each of our presidents so far.